Our founder had to make the choice of trying to come up with an uber-creative agency name that didn’t have much meaning or go with a name that had meaning. He chose the latter. The name “E7” comes from his dad’s highest ranking achieved in the Army – an E7 Platoon Sergeant. 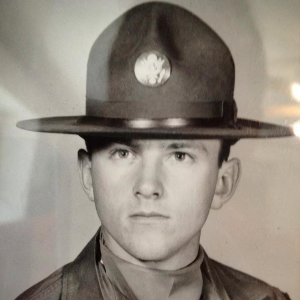 His MOS (Military Occupation Specialty) was Drill Instructor which made discipline and respect important things growing up. How Do We Integrate That History Into Our Culture? Discipline and hard work is what it boils down to with a touch of creativity on top. When you get down to agencies that truly know digital marketing, there becomes very little that separates them other than who will work the hardest. We take pride in knowing that we’re the hardest working agency around that will quantify every dollar spent to a bottom line contribution.